For the final of our class we were to create a product without buying any materials. 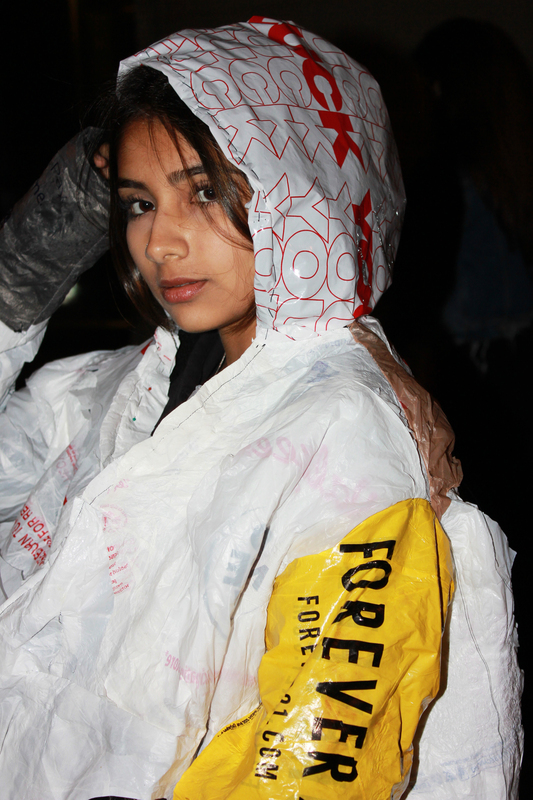 I do not have a raincoat in New York so I thought I would make myself one by using plastic bags since they are waterproof/ resistant. 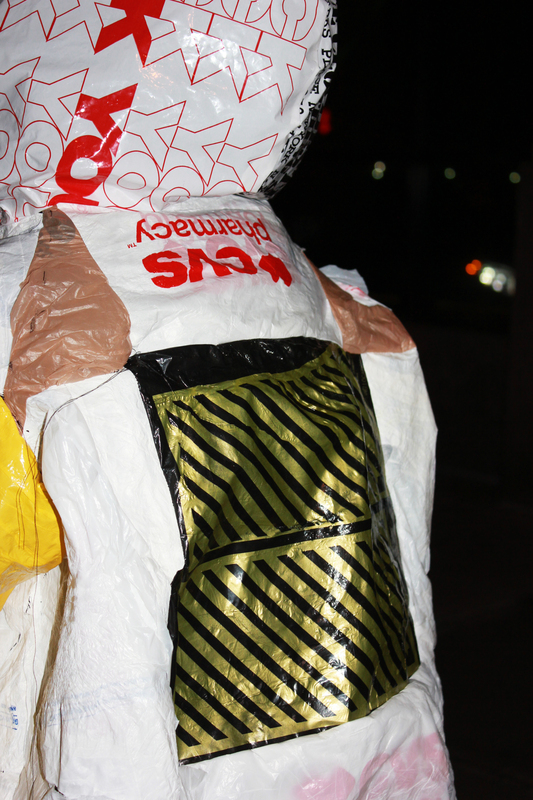 I melted 2-3 plastic bags together, cut them into a square and created a pattern for each pattern of the coat. I had left over felt and thread from a previous project so I used black cotton felt for the lining of the jacket. 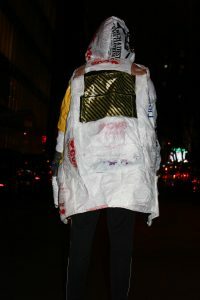 The final product reflects the grungy, dirty side of New York you get exposed to when living here. 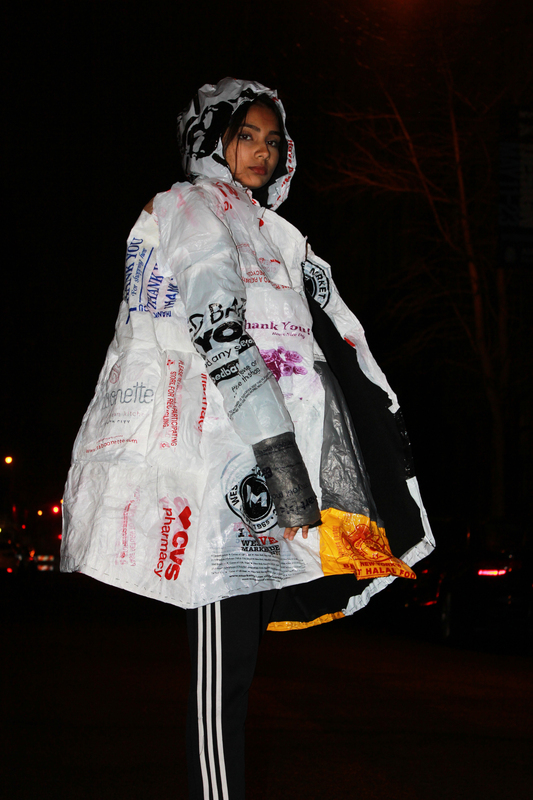 It was inspired by a coat Raf Simmons made. Overall I am proud of the final product.